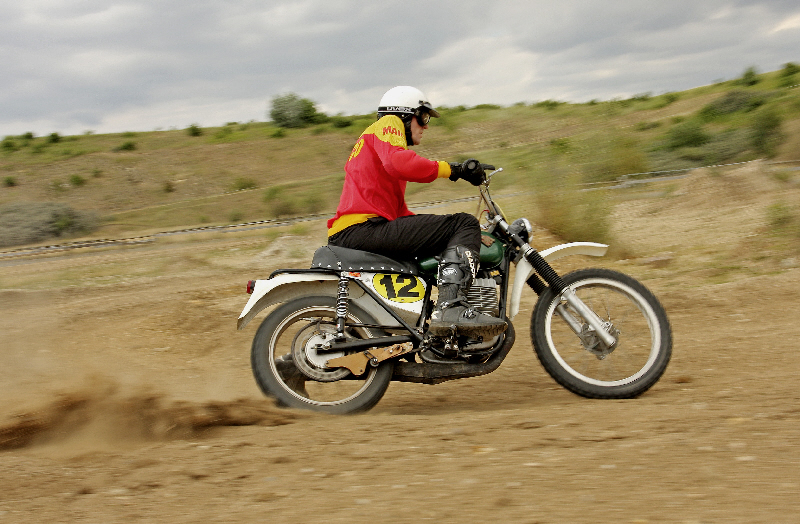 I recently bought a 77 Maico 250. It has a reed block looking thing but I can't find any reference to it in any of the online parts manuals. I haven't actually pulled it off to see if there is a reed in there yet. Can anyone shed any light on it? 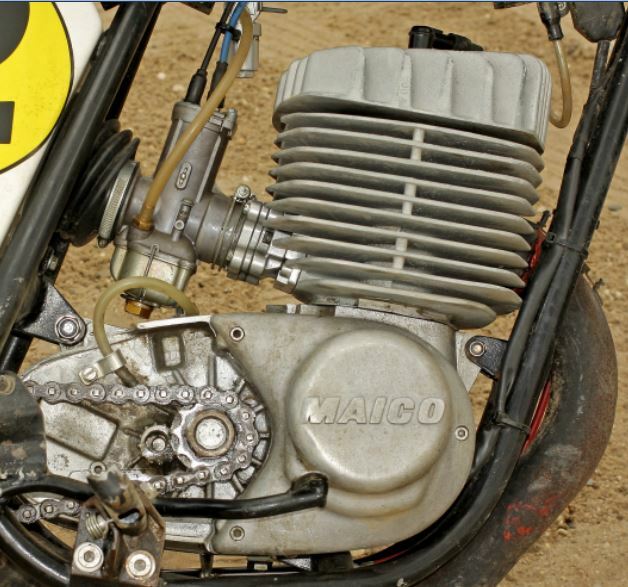 I am pretty up on Maico. You will not find that in any parts manual or otherwise. It appears to be a nice sort of a fit. If you ever open it up and go in for a closer look? I would love to hear more about it, see more pics etc. Peter is thinking of trying it without the reed arrangement. Thanks Tony & Mick for your insights. I plan on taking the block out (just to have a better look) later in the week. Bloody work is getting in the way of fiddling with my bikes. I'll post some pics of what I find. As Mick mentioned I might even see what she goes like without it fitted. 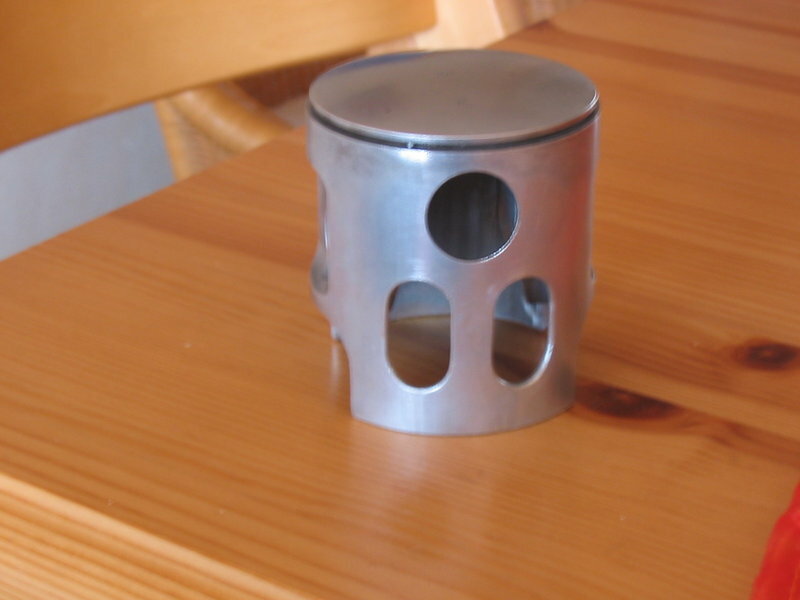 Guess it will depend on whether the holes were drilled in the back of the piston as to how it goes. I had already got a PM from Peter, where he mentioned he was thinking about removing the reed block. 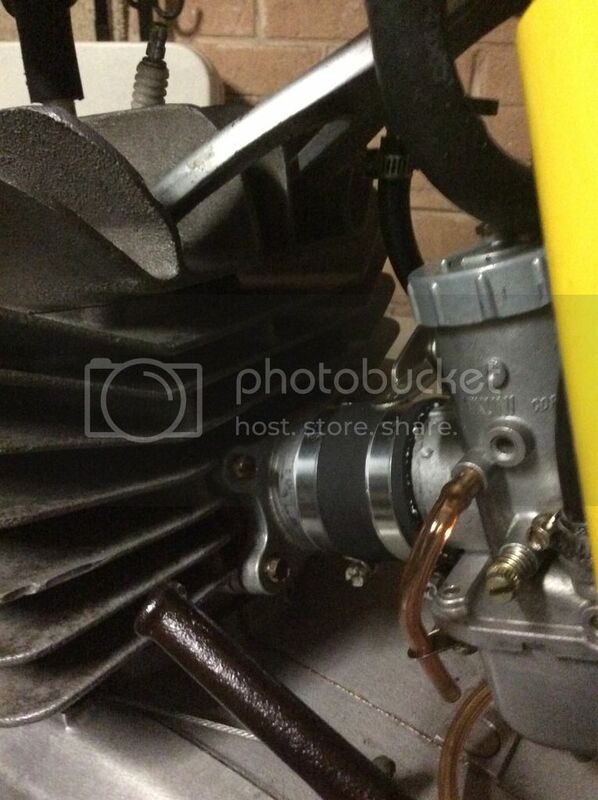 Obviously if he looks down the intake and sees no holes it means the kit was just fitted without the mods. As he has said he has only just recently bought the bike. He has reasons for thinking about removing it. And has said to me, quote; "Im thinking of reverting to the original (no reed) setup depending on what I find when I pull it off." So yes and yes fellas, we are all curious. I guess we'll just have to wait see if someone has just thrown it straight on or not? Thanks again for your replies and valuable insight. 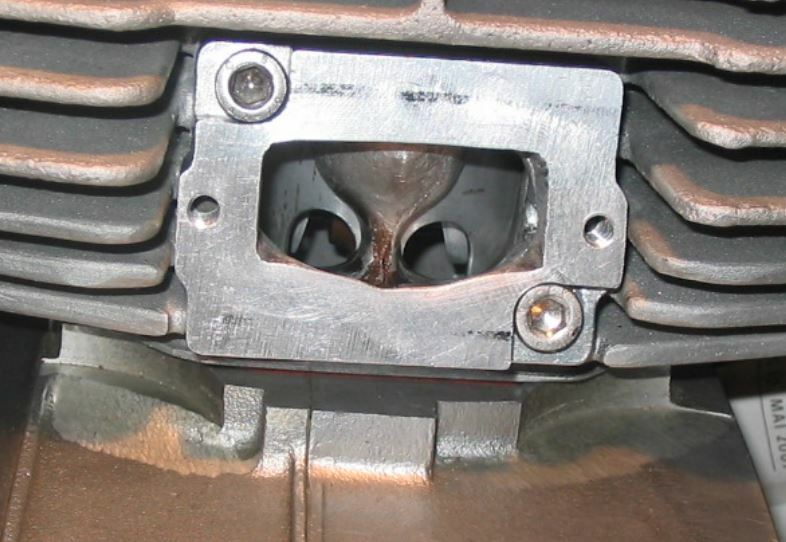 I pulled the block off tonight and noted that the piston has two lower and one upper hole in the inlet side of the piston so I guess it's been done properly. What bothers me is that the reed restricts the inlet volume quite a bit when you compare the size of the reed opening compared to the size of the inlet port. Try it, I doubt it will be a bad thing having the reed valve conversion. 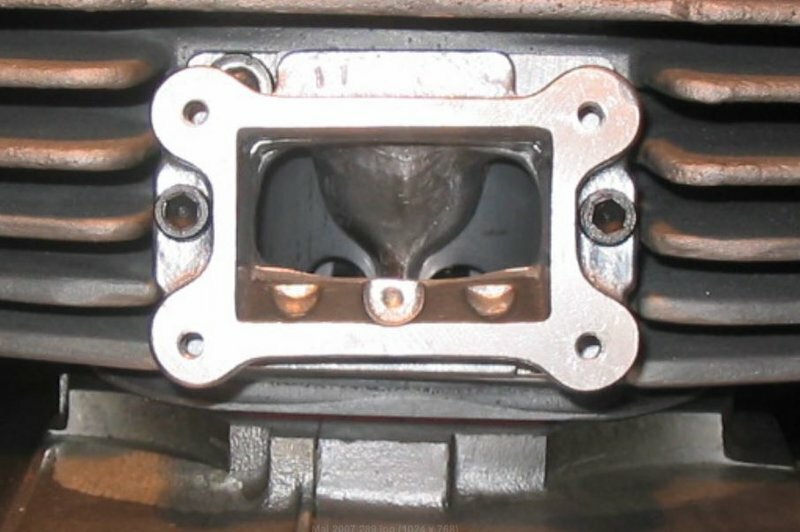 I think I'd be correct in saying there has been quite a bit of welding done to give a good mounting/sealing surface around the intake port, do you have a standard cylinder to compare? Lozza, being the V-6 reed set up the reeds are 33.4mm long with the screw holes 3.2mm from the back, thickness is .34mm. Would you consider that to be a stiff set up? 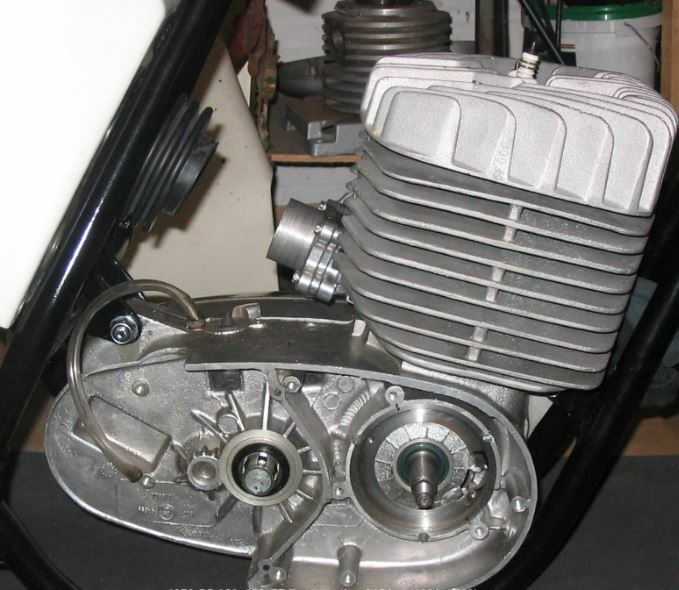 The reed cage has been milled out to fit the Intake port on the cylinder (see the pics). exhaust pipe for 400ccm cylinder, because the 250ccm doesn't work well any longer on the reed 250ccm!